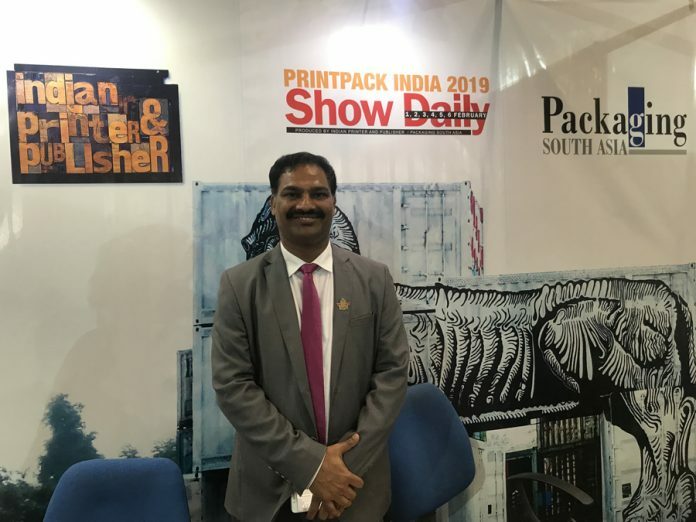 The 14th edition of Printpack India, being organized at India Expo Centre in Greater Noida, has garnered an overwhelming response from visitors, exhibitors and foreign delegates who have come to the show. The event has grown over the years, so much so that it houses as many as 510 exhibitors in the current edition. The show has been bustling with visitors from various parts of the country right from the first day. According to data collected by the organizer on the evening of Day 3 (Sunday, 3 February 2019), the total number of visitors (first three days combined) at the show has been recorded to be 42,200. This number is expected to go up during the course of the last three days at the show. As per the feedback received by the organizers, all the exhibitors at the show are benefiting from the footfall the show has been receiving right from the first day. The organizers say that the companies participating at the show are receiving humongous enquiries from the visitors. “Our initiative this time around to distribute food coupons and free water to exhibitors has also been lauded by many,” says Dayaker Reddy, president of IPAMA. “We have delegations from Palestine, Uzbekistan, Sri Lanka and Nepal. We had more than 500 visitors only from Nepal this time at the show. We failed to get delegations from just a couple of countries including Nigeria due to visa issues. We will try our best to get them next time to Printpack India,” Reddy adds. In the current edition of Printpack India, IPAMA, organizer of the show, has segregated a few segments hall-wise. It plans to include more segments in the upcoming edition which will make Printpack all the more promising. IPAMA has also said that various companies from different segments have shown interest in the show which came as a driving force for IPAMA to increase the segments next time. At an event on Sunday evening at Stellar Gymkhana, Reddy said that the association is planning to launch the exhibition on the first Wednesday of the first week of February on every odd year. “Its going to be a six-day show from now. We are accepting the confirmation for the priority numbers 16 February 2019 onwards from 10 a.m. The payment mode will be online transfer of funds via NEFT or RTGS and no other form of payment will be accepted from anyone and the rule remains the same for all,” Reddy concludes.